THE Most Startling Prophecy In The Entire Bible! Subtitle: All Arab populations will now know exactly how their governments have long sold them out to American and Israeli agendas! Now, all Arabs will know why they should be enraged! Moderate Arab governments long supportive of America could fall because of the ramifications of this captured intelligence! Enraging Arabs enough to attack Israel and Western Interests even though there is no hope of victory is the strategy known as "Blood In The Streets", a commonly used Illuminati tactic when their side possesses a huge, overwhelming military advantage. We see this Western Intelligence disaster as a "Blood In The Streets" ploy. My years in U.S. Army Intelligence at a Pentagon-level facility in Okinawa, Japan, taught me a very good lesson: Intelligence secrets contained within intelligence files -- either electronic or paper -- must be protected from falling into the wrong hands at any cost! Of course, one of the most basic ways to protect intelligence files is to restrict who has access. That means that only people with a real "need to know" can view a file, but it also means that no sensitive intelligence information ever goes to a location which might become insecure at some point. A corollary to this rule is that no the security responsibly for intelligence information can ever be entrusted to a military or civilian government which has proven to be unreliable in the past can ever be entrusted with sensitive intelligence files. These common-sense rules were obviously not followed by the CIA and Mossad in the allowing the inherently unstable Palestinian Authority to possess extremely sensitive intelligence files going back several decades! Furthermore, not only is the P.A. unstable in all its ways, it has also proven to be an enemy to Israel, as Yassir Arafat and Abbas have planned and carried out terrorist attacks, even against American military targets! Therefore, this story we are about to share with you seem ludicrous on the surface. Let us examine this improbable news story. "The Fatah-led general intelligence and security services caved in too fast to shred, wipe or burn documents, computer disks and archives. The entire collection fell into Hamas’ hands when they seized Palestinian Preventive Intelligence HQ at Tel Awa (henceforth Tel al-Islam) and the Palestinian General Intelligence center near Gaza port." Let us stop right here to note the lie already told. In the realm of intelligence, there is no such thing as caving in too fast to keep intelligence resources from falling into the wrong hands. Intelligence leaders routinely assess problem areas to ascertain locations where the political situation might be deteriorating so rapidly that outside intervention might be required. In the case of the Palestinian Authority meltdown in the Gaza Strip, news reports for the past three months have strongly indicated that President Abbas and his group of ragtag militants might lose control to the even more militant group, Hamas. It is inconceivable that neither the American CIA or the Israeli Mossad did not act until this sensitive intelligence actually fell into Hamas' hands. This type of deteriorating situation is exactly why elite military forces are created, maintained, and deployed! These intelligence files should have been seized many weeks ago. This next segment tells us how sensitive these files were. "Never before" is a very strong term. "Greatest debacle" is even stronger! 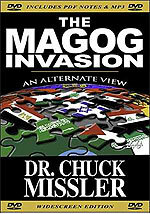 What this tells me is that the political, military and intelligence services which are entrusted with the health and well-being of America and Israel have either fallen down so terribly that the leadership needs to be fired, or the plan called for these intelligence files to be captured at this critical moment in Middle Eastern affairs. Let us hold on to that thought for just a few moments as we return to our featured story, to learn of the extent of this terrible loss. "Hamas has taken possession of hundreds of thousands of documents cataloguing the clandestine operations of Western intelligence services in the Middle East, including Saudi Arabia and the oil emirates. It is now the owner of complete archives of Palestinian undercover links with foreign intelligence services going back decades, with names of spies, political collaborators and double agents. The documentation covers the secret ties Palestinian intelligence maintained from the 1970s, when Yasser Arafat was based in Lebanon, with the Americans, the British, the French, the Israelis and many others." This is a most terrible intelligence loss!! Let us consider the extent of this loss one by one. Can you believe this revelation? Other Arab and/or Islamic groups within the Middle East despise the Palestinians! Furthermore, you know that the Jews despise them, for the Palestinians have been committing atrocities against them ever since Arafat's boys murdered 11 Israeli athletes in the Munich Olympic Games in 1972. Innocent men, women and children have been murdered in various ways by the Palestinians; even babies have been murdered in their cribs. Since this is true, does it make any sense whatsoever for American and Israeli intelligence services to trust the Palestinians with "hundreds of thousands of documents"? My mind is still reeling over the impossibility of this type of trust being afforded the Palestinians. Now, let us return to the next point we want to highlight. * These captured intelligence files include "the clandestine operations of Western intelligence services in the Middle East, including Saudi Arabia and the oil emirates". These countries are America's friends and have been since World War II. Each of these countries is also under tremendous pressure from their restive populations, which are chock full of radicals! Now, the radicals have even more reason to spread anti-West hatred amongst their brethren, and now they will have the specifics as to how deeply committed to America their leaders have been. Saudi Arabia has been fighting a very strong insurgency for almost two decades. This treasure trove of captured intelligence documents will now provide the militants with an incalculable new weapon with which to bring down the pro-West government of that country. Saudi Arabia, Oman, United Arab Emirates, Lebanon and Jordan are just some of the countries whose pro-American government is going to come under much greater pressure now that specific acts of treason against the Islamic world can be quoted from these intelligence documents. The besieged Lebanese government may be the first to fall. * These documents also reveal the "names of spies, political collaborators and double agents". We should expect many murders of double agents to begin occurring throughout the Middle East. It is possible that many of these murders will occur without any fanfare at all, as Islamic radicals supported by such radical regimes as Syria and Iran supply the expertise to hunt down and kill these traitors to the Arab cause. "They will have a store of national secrets and compromising information to hold over the heads of Western leaders and officials, lists of undercover agents, and records of covert operations carried out by the Israeli Mossad, Shin Bet and Military Intelligence, CIA, British MI6 and other Western agencies. Iran, Syria and Hamas will know the names of politicians, including Israelis, who worked secretly with Palestinians and their shady deals ... After the Nazi regime was defeated at the end of World War II and Eastern Germany fell in the 1990s, there were officials willing to make a desperate effort to destroy or hide their intelligence treasure. Palestinian intelligence officers did not burn a single page." Once again, the capture of so many sensitive intelligence documents is unheard of in intelligence circles. And, entrusting so many sensitive documents to such an unstable and unpredictable government as the Palestinian Authority has always been, is simply not ever done. And, lastly, sitting on your hands for the past three months as Hamas made inroad after inroad against the Palestinian Authority in Gaza is unconscionable. Elite Jewish or American troops should have been dispatched to seize these documents well before Hamas fighter were storming the gates. For these reasons, I believe American authorities simply sat back to wait for the inevitable seizure of intelligence documents they wanted to fall into the hands of radical Islamic groups. Why would American authorities want this to happen? The reason is simple: American and Jewish authorities want to make Islamic people so angry that they will go to war against the West, even though they know that the West possesses such a huge military advantage over them. However, as we have also been saying for some time now, America's loss in the Iraq War coupled with the perceived Israeli loss in the Second Lebanon War of 2006, have erased the military edge in the minds of too many Arabs today. Right now, they are emboldened to think that they can beat anything the West has to throw at them. Therefore, once the detailed record of how specific moderate Arab leaders have cooperated with American and Jewish government sources for the past several decades gets into the hands of the average Arab citizen on the street, all-out war could erupt. The first target of this war is likely to be moderate Arab countries who have cooperated with Washington and Tel Aviv. And, the first country which could fall could easily be Lebanon. The second target of this war is likely to be Israel. Hamas is likely to provoke an Israeli response through their rocket attacks. Hezbollah is then likely to open up from across the Lebanon border, followed by a Syrian rocket barrage. At that point, this planned Middle East war is likely to simply spread. In fact, as we shall demonstrate in our next Headline News article, a "Perfect Storm" seems to be brewing in the entire Middle East, a storm likely to plunge the entire world into a global war which the Illuminati love to call the Third World War. 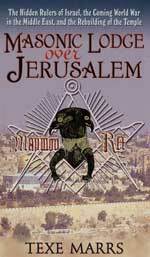 Out of that war, the Masonic Christ will stride. At that point, two (2) prophecies will be fulfilled. These signs of the coming Antichrist are called "sorrows" in the KJV, but they literally mean "birth pangs". World War III will literally be the last "birth pangs" which shall produce Antichrist on the world scene. 2) Revelation 6:1-2 -- "And I saw when the Lamb opened one of the seals, and I heard, as it were the noise of thunder, one of the four beasts saying, Come and see. And I saw, and behold a white horse: and he that sat on him had a bow; and a crown was given unto him: and he went forth conquering, and to conquer." This is Antichrist appearing on the world scene; current events seem to place mankind of the cusp of its occurrence.